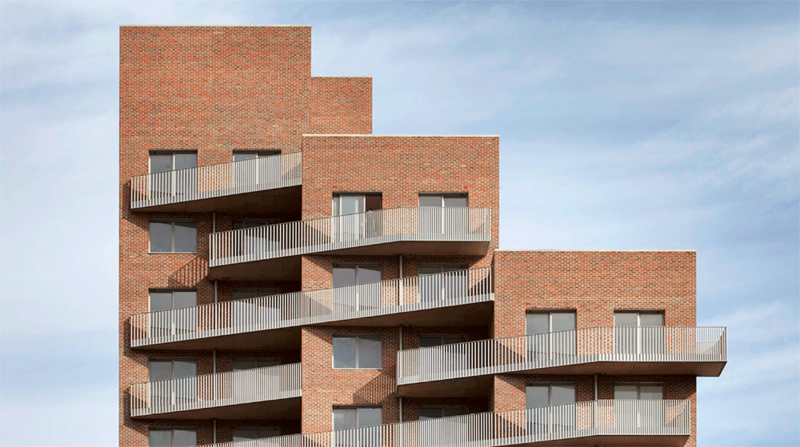 Rehearsal Rooms, a residential-led mixed-use development, is one of the first completed in London as a bespoke private rented sector (PRS) product. 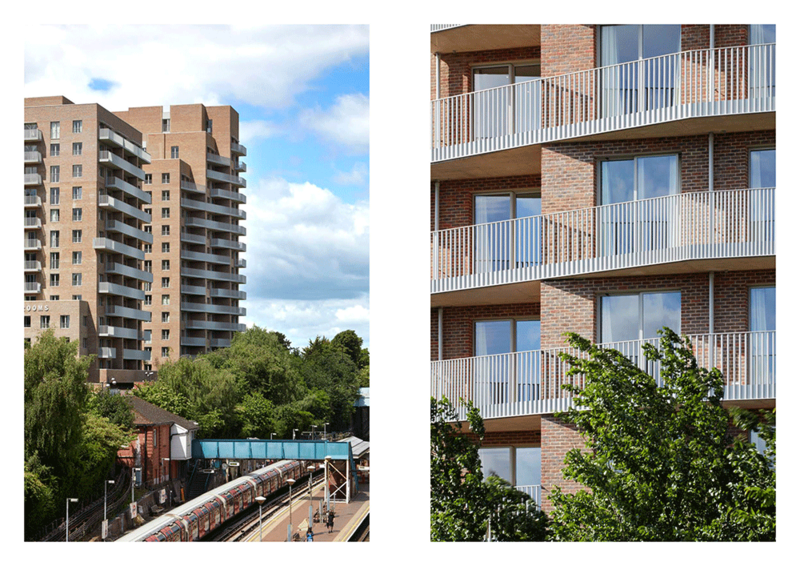 Rising above the tree-topped embankment of North Acton tube station, the building forms part of an emerging neighbourhood and provides 173 one-, two- and three-bedroom flats. Designed around the needs of a fast-growing tenure, the scheme sets a benchmark by meeting social and services requirements at a local level. 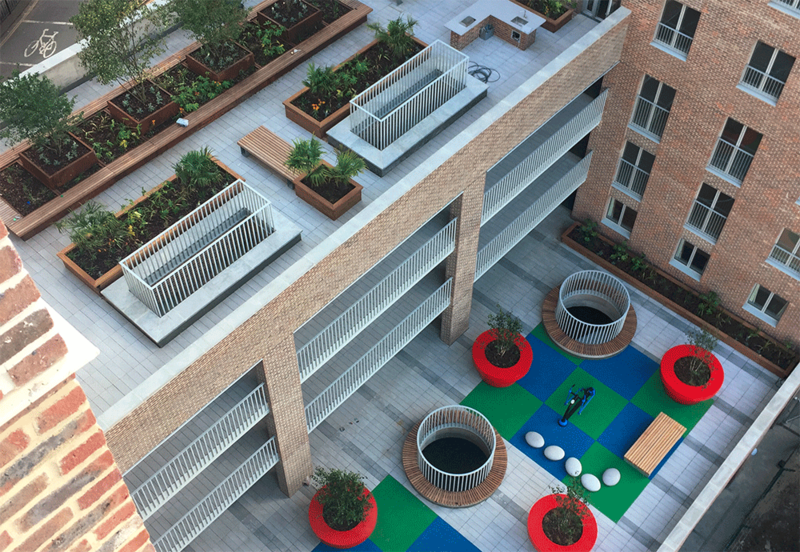 The scheme makes extensive use of roof areas as shared gardens. 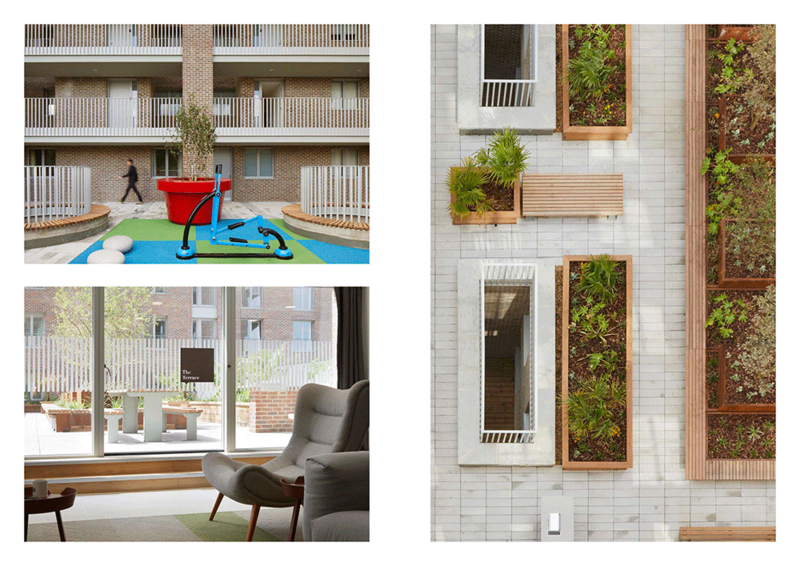 Internal layout, generous space standards and ancillary provision – common areas, a concierge service and a function room – are designed around the real needs of residents to promote a sense of community. A supermarket and gym at ground level contribute to life on the street. The rational plan and the elegant elevations are integral to one another addressing form and function simultaneously, so that the geometry and detail of the distinctive balconies is as much about providing privacy and views as it is about rhythm, articulation and visual interest. Views through open-plan layouts emphasise space and light and allow connections from inside to the generous balconies. The longevity of metalwork, which plays a key part in the elevations, was achieved by galvanizing and then powder coating. 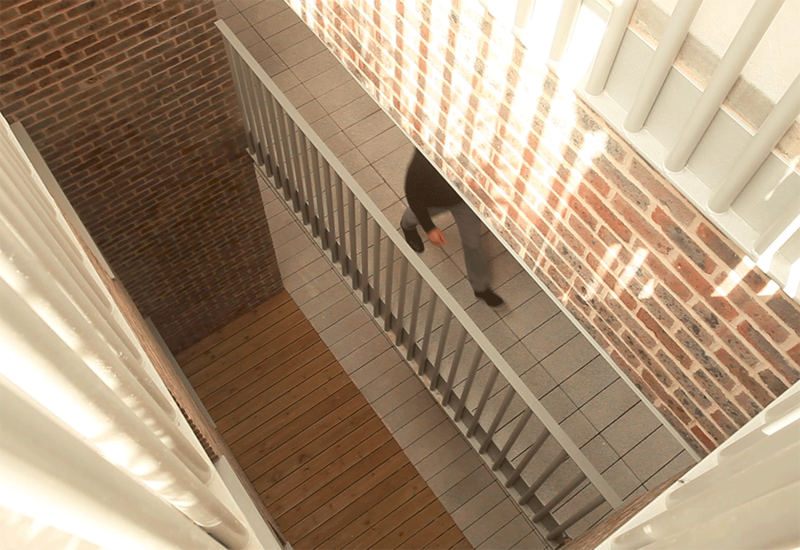 Detailed treatment of the steel railings complements the form of the concrete balconies. A varying spacing of the 42 mm diameter tubular steel uprights, from close together to further apart, has both a visual and practical purpose, creating interest and making certain parts of the balcony feel more enclosed. The design is replicated around openings generally and for gates and shading of uppermost windows. Light and view through ‘Juliet balcony’ railings to all windows, is maximised by using finer uprights that almost disappear in a building of this scale.